The templates on this page give you the tools to produce branded Institute documents on your desktop printer. These templates are not a replacement for official, professionally printed stationery, which you can order online through eCAT3. In this section, you can download the designs shown above in templates formatted for Macintosh or Windows; LaTeX templates are at the bottom of the page. 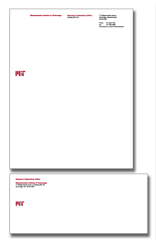 Choose the design that matches your professionally printed letterhead. The margins on these templates are preset, so you will automatically know where to place words on the page. When your letter prints on official stationery, your text will be positioned perfectly in relation to preprinted logos, headers, and footers. These stationery downloads are not a substitute for Institute stationery, but they provide convenient headers for PDF files and other documents. You'll find step-by-step instructions for customizing the design right in the body of the template. 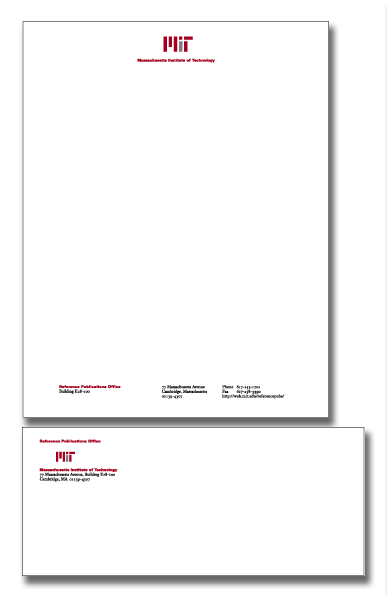 These templates allow you to produce departmental letterhead. 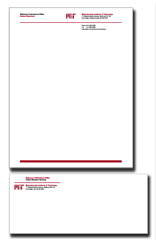 These templates allow you to include your name in your departmental letterhead. Choose the design that matches your professionally printed envelope. The margins on these templates are preset, so you will automatically know where to type the address. When you press print, your address will be positioned perfectly in relation to preprinted information on the envelope. 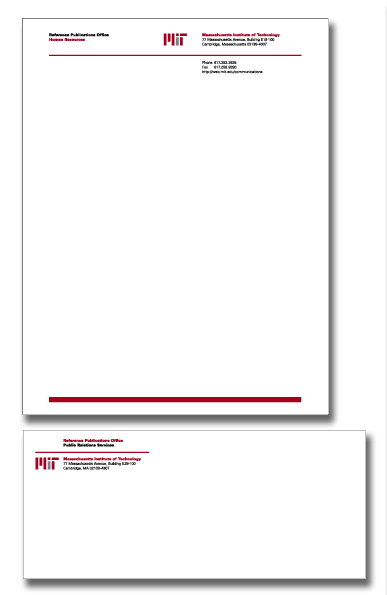 These templates allow you to print the Institute return address block on blank envelopes with your desktop printer. There's also room to customize the return address with your individual office information. These stationery downloads are for those working in the Athena environment. 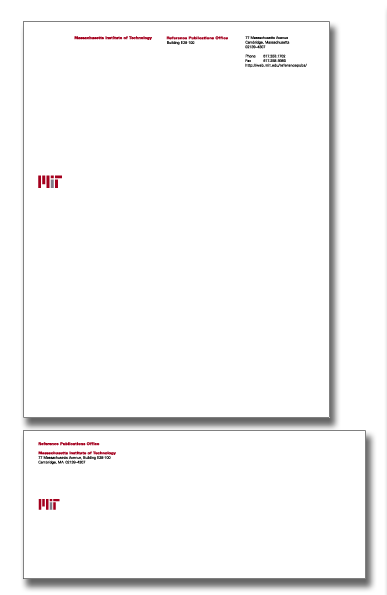 LaTeX is widely used at MIT for theses and other technical papers due to its compatibility with mathematical and foreign characters. 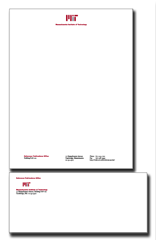 The templates allow you to include your name in your departmental letterhead and envelope. You'll find step-by-step instructions for customizing the design right in the body of the template.